On Thursday, October 29 2009 I saw Michael Jackson's Concert Documentary Movie, This Is It. Some of my friends in South Africa attended the premiere the previous morning in Johannesburg (at 3am!) and everyone raved about the movie urging the rest of us to see it as soon as possible. The movie is just under two hours long and showcases footage from the MJ's rehearsals for his comeback concert which would have been in London. It features interview clips of various people involved with the concert included back-up dancers who were from all corners of the world. MJ's music and dancing was so energetic and he didn't look unwell at all. His energy, passion and hard work was highly admirable, I think. The movie gave the audience an opportunity to see another side of him other than just entertainer on stage or sitting down for an interview. I think the movie also teaches us that we can't rely solely on talent. Hard work and dedication are what truly makes one reach the top of their game. I felt various emotions during the movie. 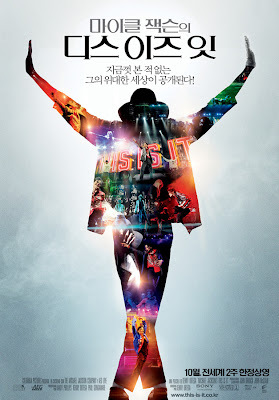 Excitement ~ The movie is historical, as was MJ and to be part of it along with the rest of the world was pretty cool. Awe ~ How ONE person had such an effect on people across the globe that even talking about him brings them to tears. Also, his absolute deep passion for what he did. In another documentary that I watched on TV, MJ said that he loved the stage and could easily sleep on it. It definitely shows. Sadness ~ He went too soon. I kept thinking that. He went too soon. The wide shots of the stage and sets were enormous compared to MJ's body. And yet, he commanded THAT much respect and attention from every single person who was there. As many people have described him before, MJ was a soft-spoken and humble soul. And again... I feel he went too soon. This Is It is a must-see!